Heat oven to 375°F. In ungreased 15x10x1-inch pan, spread bread cubes in single layer. 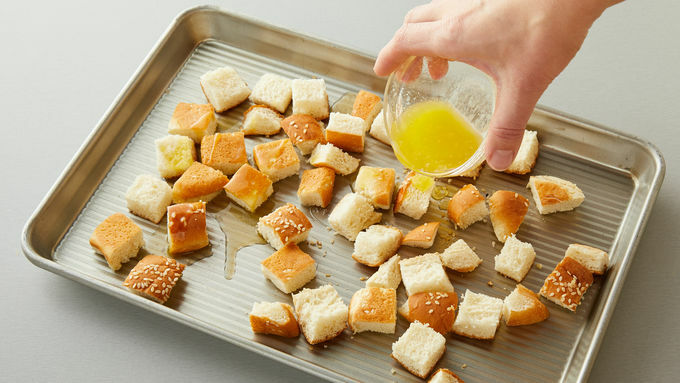 Drizzle melted butter evenly over bread cubes; toss until coated. Bake 8 to 10 minutes or until lightly browned. Cool completely. 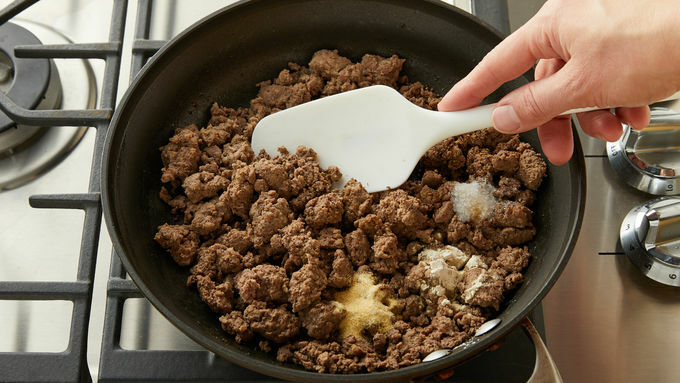 Meanwhile, in 10-inch skillet, cook beef over medium-high heat 5 to 7 minutes, stirring frequently, until thoroughly cooked; drain. Reduce heat to medium. Stir in Worcestershire sauce, garlic powder, onion powder, salt and pepper. Cook and stir 1 minute. Remove from heat. Divide lettuce among 4 serving bowls. 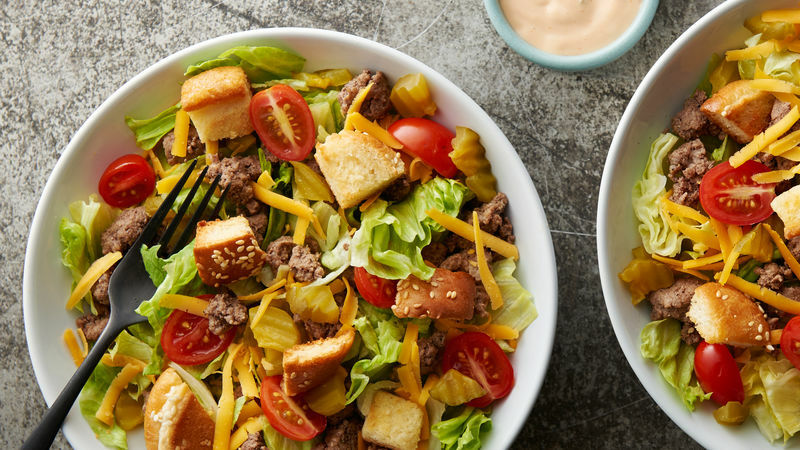 Arrange beef mixture, cheese, tomatoes, dill pickles and croutons on top of lettuce. Serve with dressing. Romaine lettuce can be substituted for iceberg in this recipe. Watch the croutons closely, as buns can brown quickly. If the dressing is too thick, thin it with a little milk.